The UK has a huge number of beaches, but for most of us a day on the beach involves a long drive with lots of traffic if the sun is shining. So how nice would it be to stay in a log cabin where the beach is on your doorstep, or at least just over that hill? Log cabins usually have a nice verandah where you can leave out the windbreak, body boards or wetsuits, or just the buckets and spades. After all the kids will want to use them all again tomorrow! The log cabins below have beaches close by. Timber lodge set high in an elevated secluded position with a view of the lake. One double and one twin. Bath with overhead shower. Dishwasher and tumble dryer. Gated verandah.. Bulworthy Forest Lodges is part of our Wanderwood Lodge Holidays Collection, tucked away down a picturesque tree-lined drive leading to Bulworthy Forest in heavenly North Devon. Nestling in 25 acres of woodland teeming with flora and fauna, and boasting five well-stocked fishing lakes, this is the consummate setting for escaping to the country and losing yourself in perfect peace and good old-fashioned family fun. 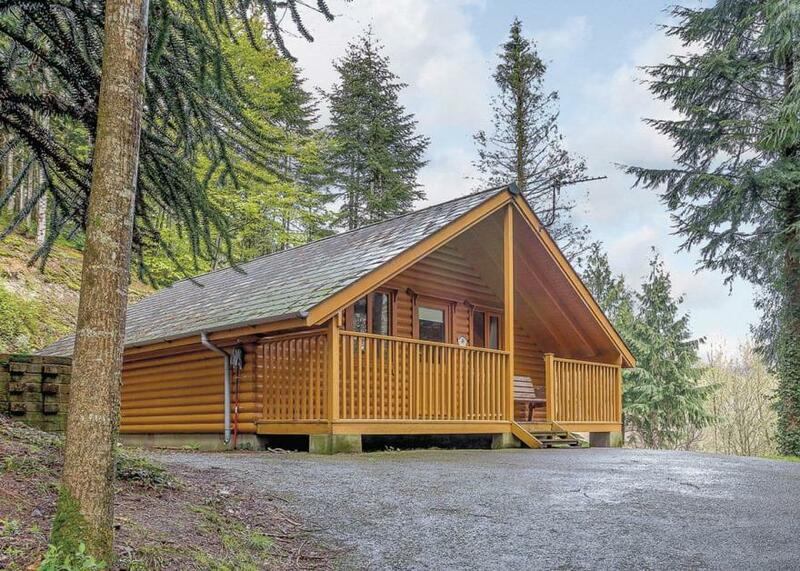 These excellent secluded lodges truly make the most of the beautiful surroundings with spectacular lake views and hot tubs offering the ultimate way to unwind under the woodland canopy or marvel at the starry sky. The lakes offer free coarse and carp fishing, while woodland trails invite gentle rambles amongst an abundance of wildlife and wonderful bird-watching. With Bideford, Barnstaple, Torrington and a sandy beach all within just 5 miles it is a truly convenient setting from which to explore North Devon and all its attractions. A pub and shops are just a short drive away. Due to steep gradients and steps to access accommodation Bulworthy Forest Lodges are not suitable for wheelchair users or persons with severe mobility difficulties.. Bulworthy Forest Lodges is part of our Wanderwood Lodge Holidays Collection, tucked away down a picturesque tree-lined drive leading to Bulworthy Forest in heavenly North Devon. Nestling in 25 acres of woodland teeming with flora and fauna, and boasting five well-stocked fishing lakes, this is the consummate setting for escaping to the country and losing yourself in perfect peace and good old-fashioned family fun. Due to steep gradients and steps to access accommodation Bulworthy Forest Lodges are not suitable for wheelchair users or persons with severe mobility difficulties. Modern and contemporary chalet with one king size double and one double. Shower. 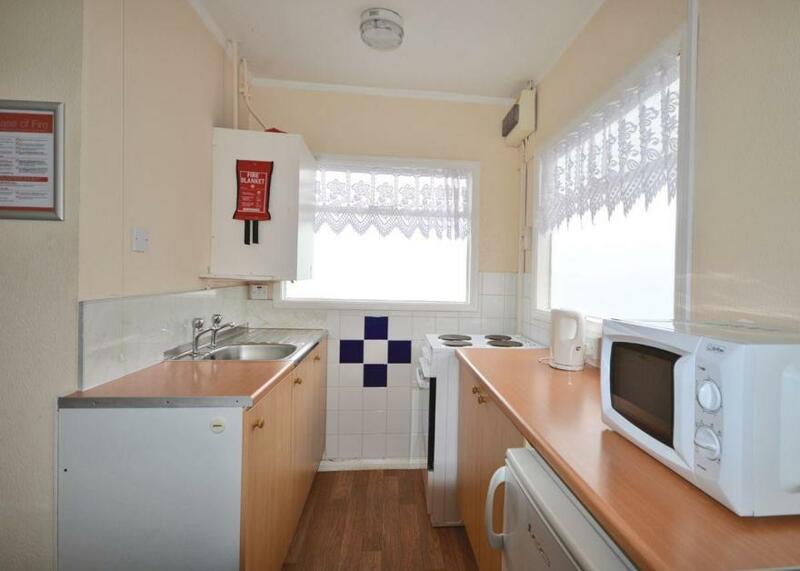 Open plan lounge/diner with well equipped kitchen area. Washing machine.. 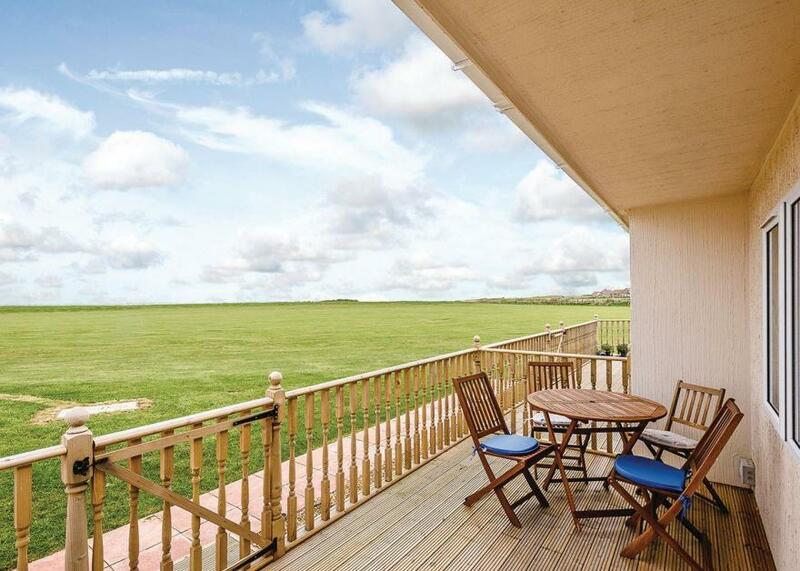 The ideal base for a peaceful and relaxing family holiday, the contemporary chalets at Rainbows End are situated in 13 undisturbed acres including nine acres of tranquil grassland, perfect for picnics, kite flying and family games. Private access onto a splendid sandy beach used almost exclusively by visitors to the park. This is a wonderful area for getting away from it all; close by are Bacton Woods, ideal for walks and picnics, and the many waterways of the Norfolk Broads are within just 6 miles. Wi-Fi* is available. *Charges apply.. 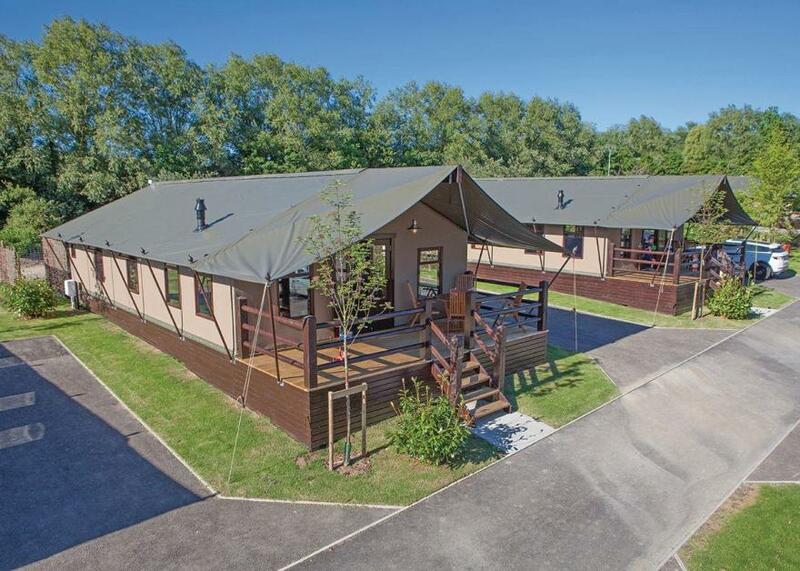 The ideal base for a peaceful and relaxing family holiday, the contemporary chalets at Rainbows End are situated in 13 undisturbed acres including nine acres of tranquil grassland, perfect for picnics, kite flying and family games. Private access onto a splendid sandy beach used almost exclusively by visitors to the park. This is a wonderful area for getting away from it all; close by are Bacton Woods, ideal for walks and picnics, and the many waterways of the Norfolk Broads are within just 6 miles. Wi-Fi* is available. *Charges apply. New in 2017. Exclusive and luxurious bespoke safari lodge with one double with 32" flat screen TV and ensuite bath and one twin with flat screen TV. Shower only. 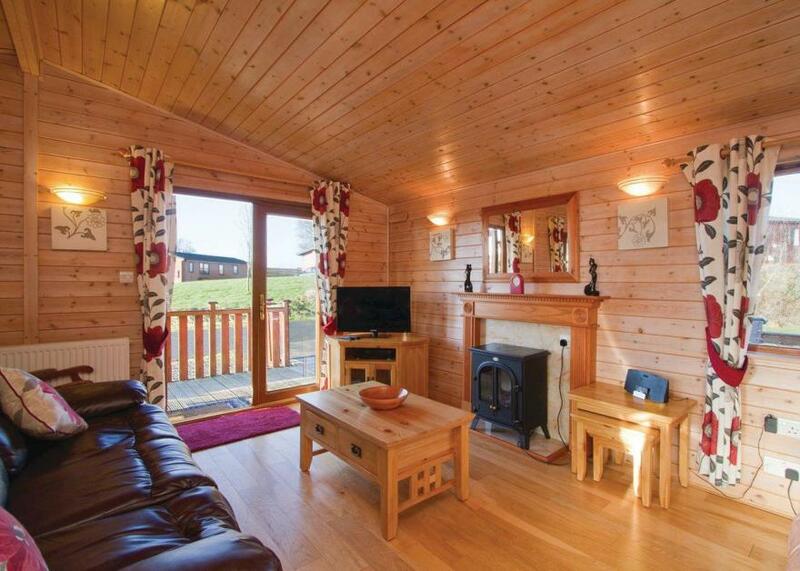 Spacious open plan living area with 49" flat screen HD TV, Blu-ray and gas wood burning stove. French doors leading onto verandah with outdoor hot tub, garden furniture and barbecue. Early 2.00pm check in.. Waterside Safari Lodges is part of our exclusive Bouja Luxury Boutique Breaks Collection, a blissful haven of bespoke luxurious accommodation nestled on the edge of the world famous Jurassic coastline. Paradise for lovers of the coast, Dorset boasts attractions all year round, from extreme sports to world famous fossil hunting along it’s historic cliffs, there’s so much to discover as you choose the pace of your holiday.. Waterside Safari Lodges is part of our exclusive Bouja Luxury Boutique Breaks Collection, a blissful haven of bespoke luxurious accommodation nestled on the edge of the world famous Jurassic coastline. Located on the edge of the lake. Ground floor: Master bedroom with king size double with ensuite shower. Spacious living room with spectacular vaulted ceiling, floor to ceiling windows overlooking the lake, which laps up against the living room window, and galleried landing looking down over the living area. Separate kitchen and dining area. 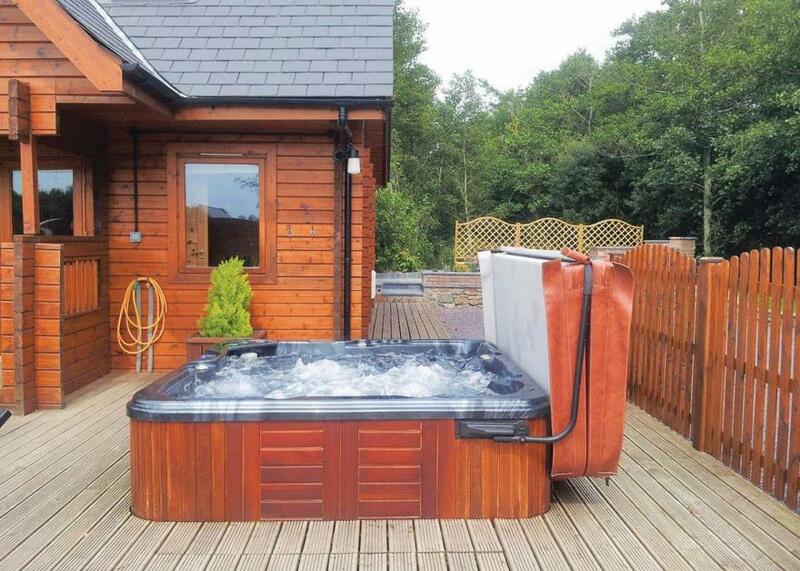 Outside, large decking area with outdoor furniture, private jetty and outdoor hot tub. First floor: One twin with ensuite bath with overhead shower. . Anglesey Lakeside Lodges is part of our Autograph Lodge Holidays Collection and enjoys a truly breathtaking location surrounded by the majestic countryside and tranquil rolling hills of Anglesey. Spaciously situated around 9 acres of beautifully landscaped lakes, this exclusive selection of luxurious contemporary lodges commands spectacular views over the picturesque Anglesey landscape and creates an idyllic rural retreat far from the hustle and bustle of everyday life. Each lodge has been designed to the most exacting standards while retaining an individual character and style that seamlessly combines traditional rustic appeal with the ultimate in unadulterated modern luxury. Relax and enjoy the tranquility on site or explore beautiful Anglesey which plays host to great cycling and walking trails, golf courses, horse riding and sailing with delightful bays and beaches nearby.. Anglesey Lakeside Lodges is part of our Autograph Lodge Holidays Collection and enjoys a truly breathtaking location surrounded by the majestic countryside and tranquil rolling hills of Anglesey. Each lodge has been designed to the most exacting standards while retaining an individual character and style that seamlessly combines traditional rustic appeal with the ultimate in unadulterated modern luxury. 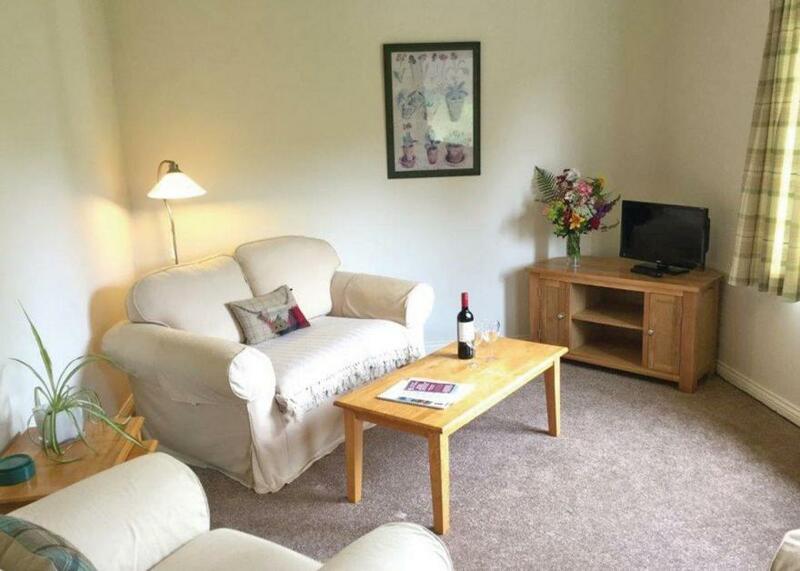 Relax and enjoy the tranquility on site or explore beautiful Anglesey which plays host to great cycling and walking trails, golf courses, horse riding and sailing with delightful bays and beaches nearby. Spacious log lodge. One double and one twin (can be linked to form double on request). Large wet room. Open plan lounge/dining room and kitchen with lowered worktops and washing machine. Fully glazed patio doors leading to decking with sunken outdoor hot tub. 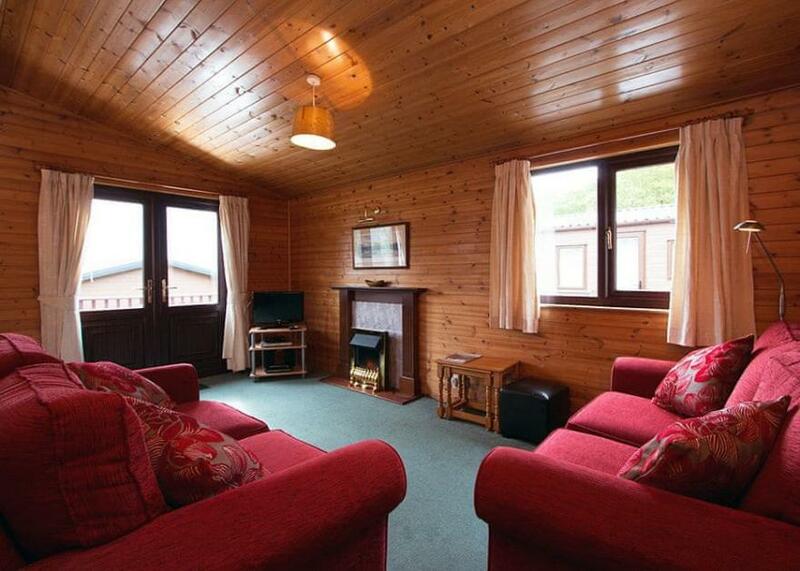 Suitable for parties including visitors with partial disabilities – please check when booking.. Nunland Hillside Lodges is part of our Autograph Lodge Holidays Collection, nestling enviably on a hillside commanding views over the foothills and forests of Dumfries and Galloway. Tucked away in peace and seclusion, this is the perfect retreat for escaping it all in the enchanting wilderness of Southwest Scotland. Set in a peaceful location and perched over the lake. Ground floor: Spacious open plan living area with leather sofas, well equipped kitchen. Shower room/WC. Outside, covered verandah overlooking the lake, spacious decking, patio furniture and secluded outdoor hot tub. First floor: One double with Juliette balcony. Bathroom. No pets.. Anglesey Lakeside Lodges is part of our Autograph Lodge Holidays Collection and enjoys a truly breathtaking location surrounded by the majestic countryside and tranquil rolling hills of Anglesey. 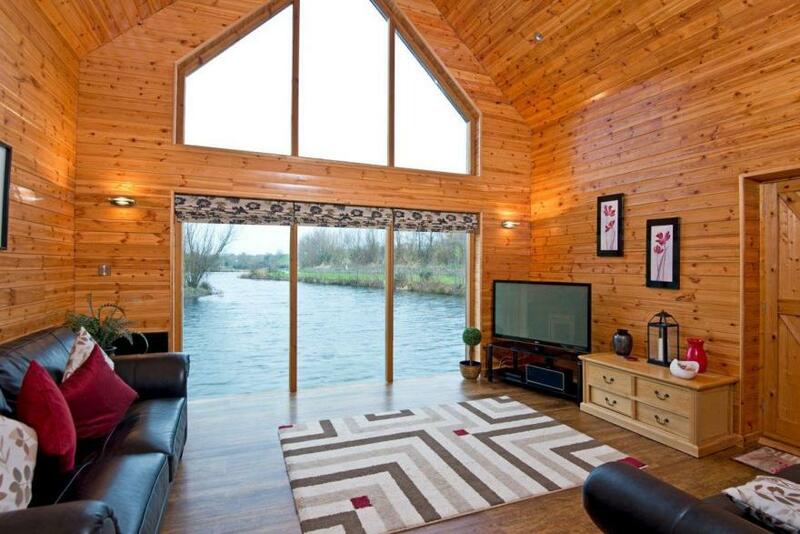 Timber lodge set in an elevated woodland position with views of the lake. One master double with ensuite shower, one double and one twin. Bath with overhead shower. Spacious lounge with sliding doors to patio. Large kitchen/diner. Dishwasher and tumble dryer. 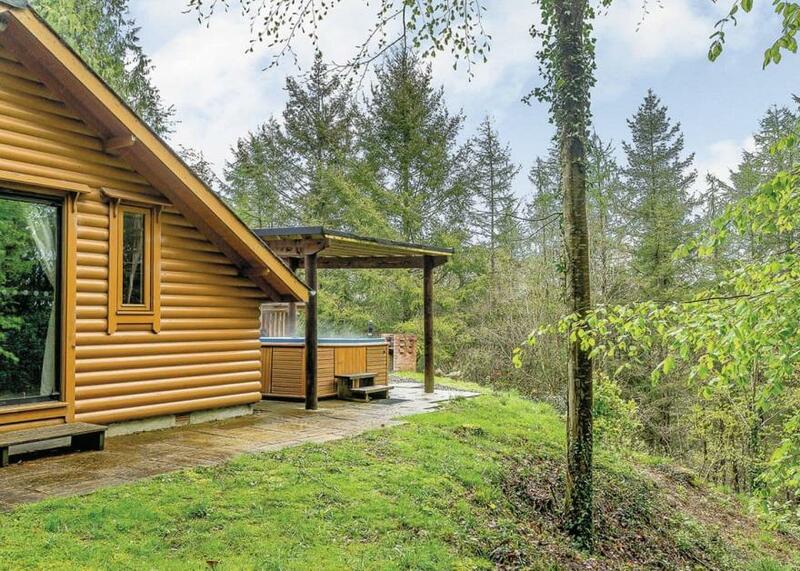 Covered outdoor hot tub.. Bulworthy Forest Lodges is part of our Wanderwood Lodge Holidays Collection, tucked away down a picturesque tree-lined drive leading to Bulworthy Forest in heavenly North Devon. Nestling in 25 acres of woodland teeming with flora and fauna, and boasting five well-stocked fishing lakes, this is the consummate setting for escaping to the country and losing yourself in perfect peace and good old-fashioned family fun.